A beautiful species of Meconopsis hailing from Great Britain, the Welsh Poppy is a fantastic addition to anyone’s garden. Offering a unique and distinct flower and leaf, Meconopsis Cambrica is perfect for anyone wanting to create a woodland garden which shines with natural glory. 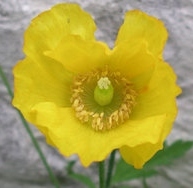 And with gorgeous yellow flowers and a fine and fern-like foliage, the Welsh poppy is ideal.